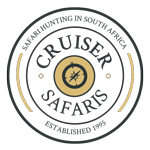 Cruiser Safaris Africa hunting information: Customs, Immigrations. All visitors to South Africa are required to carry a passport that is valid for at least six months beyond the intended length of stay. There should be sufficient blank pages (a minimum of 2) for entry stamps upon arrival. Visas are not required for citizens from USA, UK, Canada, France, Germany and Spain. Visitors can stay for a maximum of 90 days. You may be requested to show a return ticket. You are entitled to import into South Africa a personal allowance of 400 cigarettes, 50 cigars, 9 ounces of pipe tobacco, 2 liters of wine, 1 liter of alcohol, other gifts up to a value of R500 and any amount of foreign currency as long as you declare amounts over $20,000 to customs upon arrival. Sporting firearms may be readily imported into South Africa. You may bring up to 3 firearms per hunter (however most airlines limit you to 2) and 200 rounds of ammo per firearm but again airline regulations allow only 5 kgs or 11 lbs of ammo per passenger. The average weight of factory loaded ammo boxes of 20 shells per box runs from 1 lb 4 ounces to 2 lbs. Upon arrival in South Africa you must have filled out a SAP Form 520 (click HERE for the form) for the South African Police in order for a temporary firearm import permit to be issued to you. They will then issue you a Temporary Import Permit. You must retain a signed copy of this permit and it must be in your possession while you are hunting. You will need to present your Temporary Import Permit on your departure from South Africa.